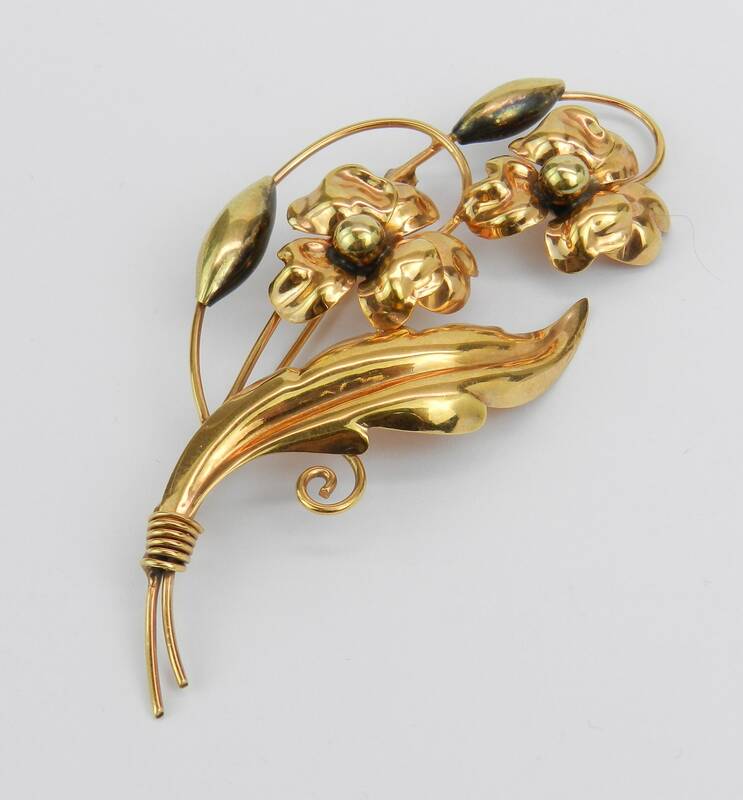 Antique Estate Vintage 10K Yellow Flower Brooch Pin. 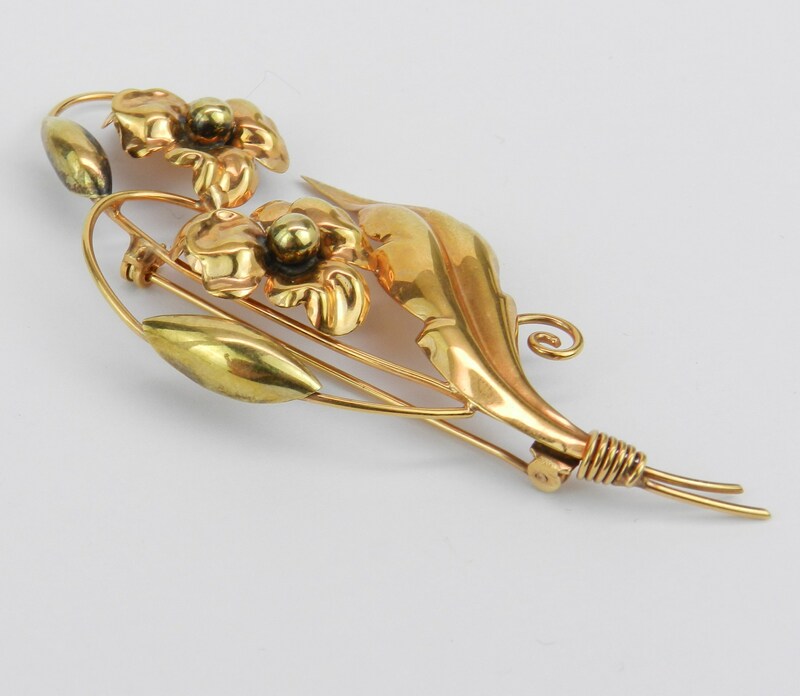 This pin has a unique design and dates back to Circa 1950's. 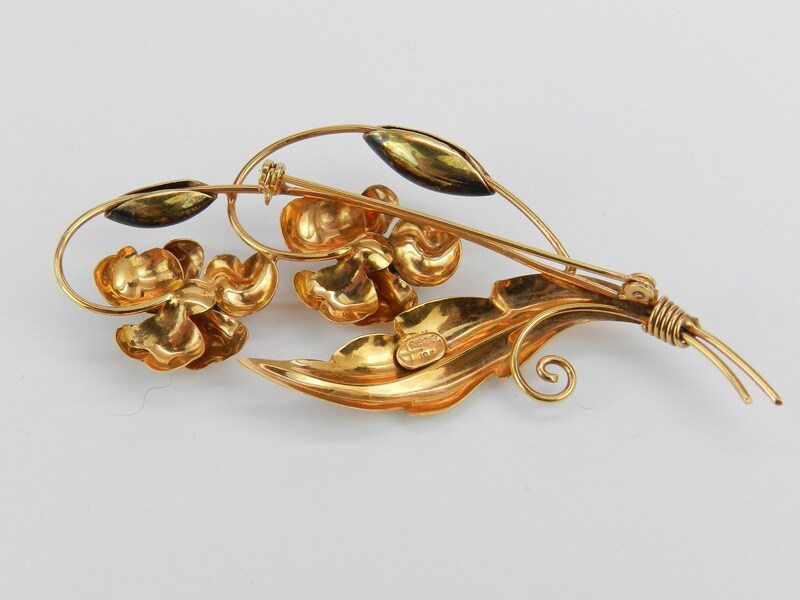 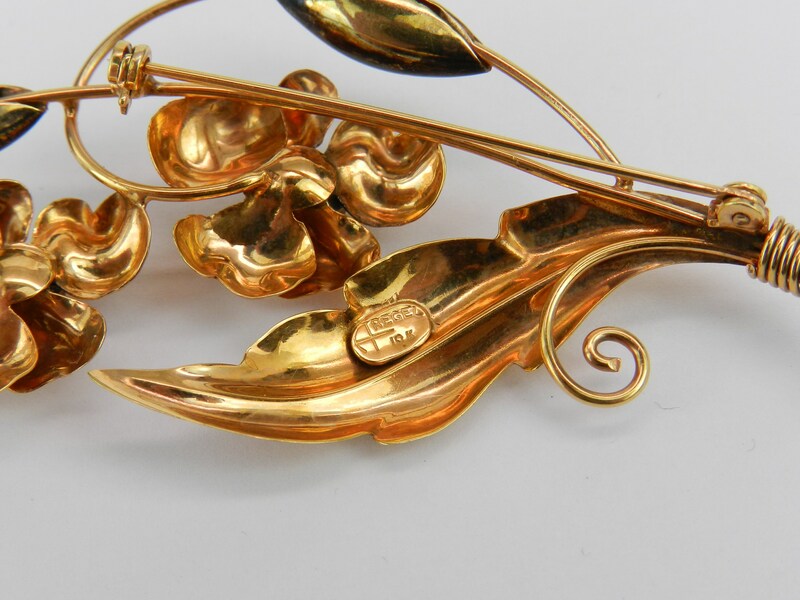 This brooch is made of 10KT Yellow Gold, weighs 9.0 grams and measures 3 1/4" X 1 1/2". 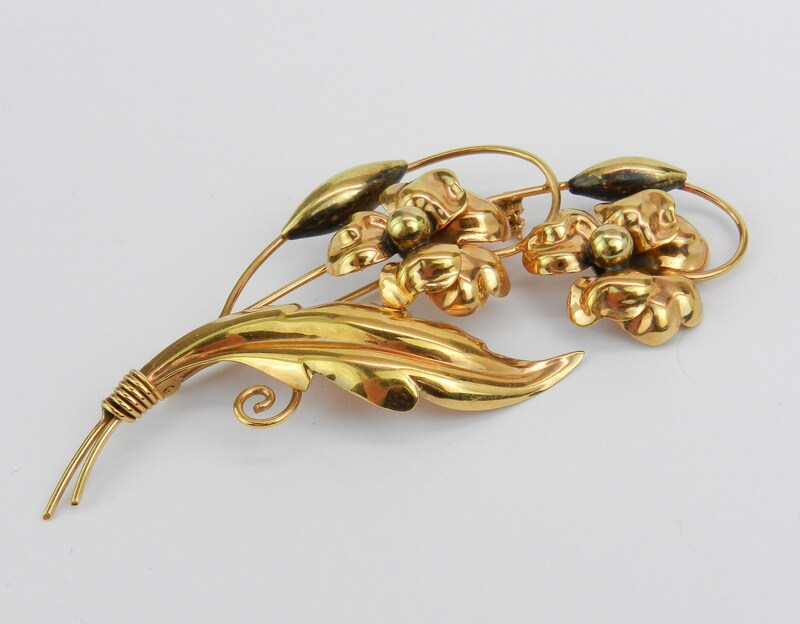 This brooch will also be accompanied by an appraisal by a GIA Certified Diamond Grader with the replacement value of $1,495.00. 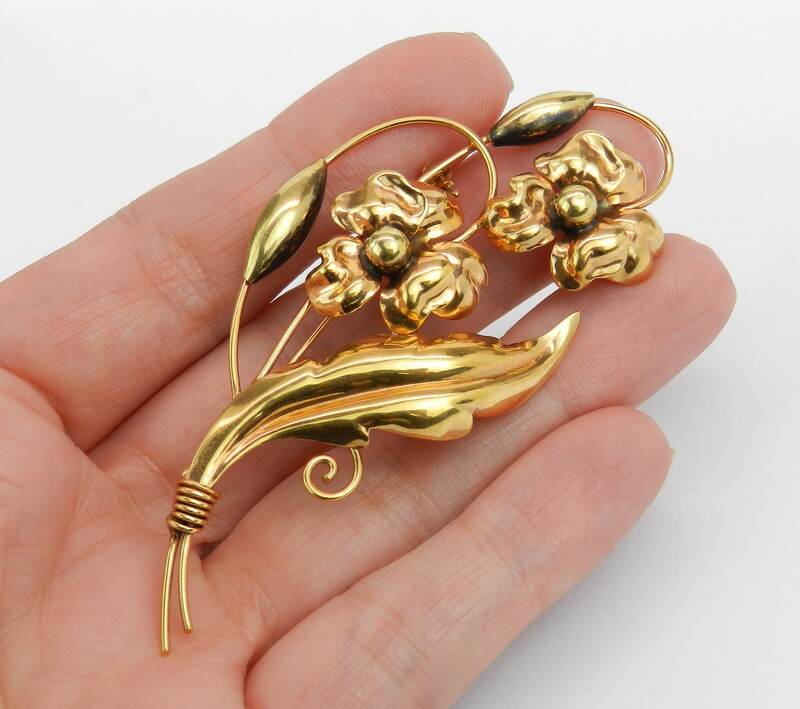 I will ship this pin promptly in a beautiful gift box.